A mirror can add the illusion of size to any small room. The reflections give a perception of depth that can counter any oddly built or just plain tiny room. 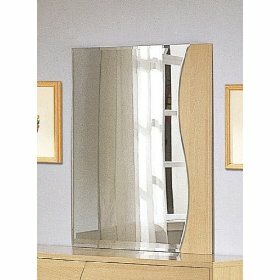 So, how do you use mirrors effectively in the bedroom? Here are a few tips and tricks to using mirrors effectively accomplish this task. 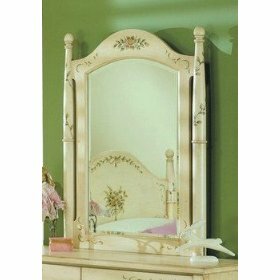 The first place to put a mirror is over a dresser or chest of drawers. It’s a natural placement point. You’ll be able to check out any outfits you’re trying on without having to jog back and forth between the bathroom and the dresser. Another great place for a mirror is above the headboard of your bed. By adding a mirror above the bed you can make the wall look like it’s further away. This can help conceal the bed’s actual size. The final idea is a bit more involved. If you have sliding or folding door closets why not install a mirrored door. The job is pretty painless and a full-length mirror adds a whole new look to the bedroom. Pull the old door out of the frame and pop the new one in place. Screw in a new doorknob. Just adjust the screws up so it slides open and closed easily and that’s all there is to it. Not only do you have an attractive new door but a full-length mirror to check before you walk out the door and to that next event. Using mirrors effectively in the bedroom is pretty simple. Any wall makes a good spot. Just find a stud, hammer a nail into place and you have a great new look in the bedroom. For a few bucks more you can even have a new closet door, making your room look larger and better lit.